Contact: Dorr Township Clerk - Debbie Sewers 616-681-9874 ext. 102. Alternate Contact: Dorr Township Office Manager - Vicki Fifelski 616-681-9874 ext. 105. Contact Twp Clerk for arrangements to be made with Sexton. Must have 48-hours notice for services. Do not leave a message, please use alternate numbers for personal communications. Our office is open M-Th 7:30AM - 5:30PM. We will need to verify plot ownership before any burial is to take place. No Holiday or Sunday Burials. Extra charge ($100) for winter burials maybe charged. Send payment to Dorr Township ($700/Full Burial and $200/Cremation) along with copy of burial permit for Sexton services. 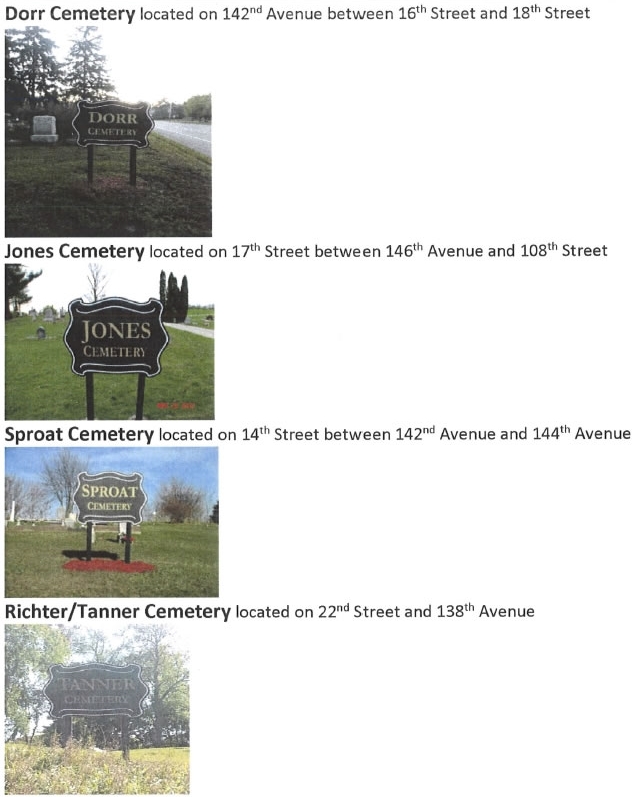 Jones Cemetery has burial spaces available. $200 for residents and $600 for non-residents for single spaces. $400 for residents and $1,200 for non-residents for double spaces. 2-inch borders (not included in price) is needed at cost of .40 cents sq/inch. Send service request to Dorr Township Clerk. If you see anything that needs to be addressed, please let the township know.